No to teraz czas na 5S, a patrząc na pierwsze recenzje to znowu zapowiada się na najlepszy smartfon na rynku. Nie wrzucałem linków do wszystkich recenzji jakie znalazłem, bo większość powielała tylko zdania poniższych, ale niewątpliwie wujek G Wam w razie czego pomoże. There’s a reason you don’t often see fingerprint scanners in smartphones: in the past, they’ve proven to be unreliable, often causing more aggravation than they’re worth. In particular, we’re thinking of the Motorola Atrix 4G, which featured a optical capacitive fingerprint scanner that required you to swipe your finger over the sensor, often several times, and with minimal success. To jest to o czym pisałem przed paroma dniami – dopracowanie szczegółow do perfekcji. The phone can memorize up to five different fingers (or thumbs), and they can belong to the same person or multiple people, depending on how many friends and family members you’d like to grant access. And it is indeed fast: the scanner was able to pick up all of our fingers in fractions of a second and from any angle. It’s so natural, in fact, that we almost forgot that passwords and unlock screens even existed on the 5s; on countless occasions we tried to unlock the iPhone 5 and 5c with the scanner before realizing that we had to use the „old-fashioned” slide-to-unlock method. It’s not perfect, however: the scanner didn’t work when our fingers were wet or only partially on the home button, although we didn’t experience any problems with clammy fingers in humid conditions. And — not that we expect this gruesome a fate — chopping off someone’s fingers won’t work, either; sorry, enterprising thieves, the sensor can only pick up living tissue. A więc chwyty z filmów nie zadziałają, a złodzieje nie będą mieli powodów do odcinania nam palców. Same doświadczenia z używania Touch ID są dokładnie takie, jakich bym się spodziewał. Dziwi mnie tylko trochę fakt, że można dodać tylko pięć palców lub, uwaga (! ), paluchów u stóp! All told, the 5s plays in the same league as all those other flagships with a bigger emphasis on imaging. Even so, our sample shots still showed more noise and less detail than the same images taken with the Nokia Lumia 1020. The 5s also does a good job of reproducing color, but it’s not the best performer in this category, either. Nokia odwaliła kawał dobrej roboty ze swoją matrycą, ale mają w końcu o 3 mm więcej na upchanie jej z obiektywem. To bardzo dużo, więc iPhone’owcy będą musieli się przygotować na bardzo dobry aparat, ale nie najlepszy w każdej kategorii. Looking at these results, it’s quite clear that the iPhone 5s — dual-core and all — can not only keep up with the best Android has to offer, it may also actually beat Tegra 4 and Snapdragon 800 in certain scenarios. Is the 5s the best iPhone ever made? Yes, though that shouldn’t come as a surprise. Optymalizacja działa cuda. Miejcie sobie pierdyliard rdzeni jak chcecie, ja wolę dwa, które potrafią być dobrze wykorzystane. The fingerprint sensor took all of that pain away. I still have the security I was looking for, but none of the frustration. It was almost immediate. It’s much quicker than entering in the passcode manually and all I have to do is rest my thumb on the Home button, which contains the fingerprint sensor. Jim przyzwyczaił się do niego bardzo szybko. Nie wątpię, że będą miał podobne doświadczenia. According to Apple, the fingerprint is securely stored in a special section of the A7—nothing but the fingerprint sensor can access that portion of the chip. The fingerprint is not sent to iCloud or anywhere else for that matter—it’s only in that section of the chip. Mnie to szczególnie nie martwi, nawet gdyby było gdzieś wysyłane. Zarówno Rząd Polski jak i USA już od wielu lat mają moje odciski, a mi zależy tylko na większym bezpieczeństwie przy jednocześnie zmniejszonej irytacji przy każdorazowym odblokowywaniu. A few previous smartphones have added fingerprint sensors before, like the Motorola Atrix, but those were more awkward bars that needed finger-swiping. The Touch ID-enabled home button feels invisible; it works with a tap, can recognize your finger from many angles, and feels like it has less of a fail rate than fingerprint sensors I’ve used on laptops. It’s impressive tech. It worked on all my fingers, and even my toe (I was curious). To, że nie trzeba przesuwać palca po czytniku jest genialne – muszę tak robić na swoim Thinkpadzie i denerwuje mnie to niesamowicie, bo nie zawsze dociskam go wystarczająco mocno. The iPhone 5 was more than twice as fast as the iPhone 4S, and true to Apple’s claims based on every benchmark we could find, the iPhone 5S and its new A7 processor seem at least twice as fast as the 5 and its A6. Warto jednak zaznaczyć, że iPhone 5 i 5C nadal są piekielnie szybkie. 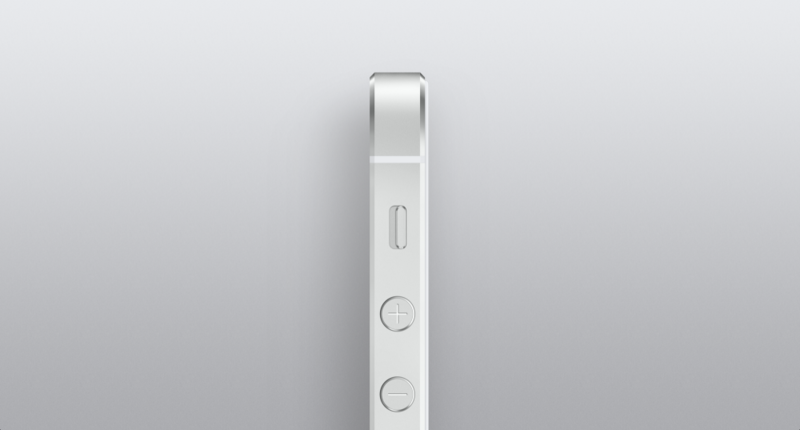 If you’re deep in the Apple ecosystem, the 5S could be the first step toward some new directions. Its improved speed, graphics, and elements of battery efficiency make it a better phone than the iPhone 5, in case you’ve waited to upgrade. But if you already have an iPhone 5, I’d say it’s not a bad year to just wait. Słuszne spostrzeżenie, że jeśli nie chcemy najnowszych bajerów, a mamy już 5-tkę, to warto poczekać. A dla mniej wymagających jest 5C, który zapowiada się świetnie. The new space gray finish that I reviewed is more visually striking than the black it replaces. It also seems more resistant to wear, as the iPhone 5 in black scratched when I even thought about it encountering some grit, while the 5s finish remains impeccable after a week of use. To ciekawe – to pierwsze tego typu spostrzeżenie w pierwszej serii recenzji 5S-ki. Jak będzie mniej odprysków to może nawet Dominik zdecyduje się na szary? Wszyscy są zachwyceni tą funkcją i nie mogą się nadziwić jak sprawnie działa. It’s about as fast as swiping to unlock without a passcode, and much faster than entering even a simple four digit code. No i w końcu ktoś potwierdza, że jest sporo szybciej. Also new to the iPhone 5s is image stabilization that happens automatically in-camera, using four exposures taken in rapid selection from which the best, most-stable parts are chosen. It recombines elements from each, rather than just picking the best. Szkoda, że Darrell nie pisze o wynikach tej funkcji. With the iPhone 5s, Apple once again wins the right to claim the title of best smartphone available. The iPhone 5s is the first digital device I’ve seen with a simple, reliable fingerprint reader — one you can confidently use, without a thought, to unlock the device instead of typing in a passcode. It sounds like a gimmick, but it’s a real advance, the biggest step ever in biometric authentication for everyday devices. Założę się, że mówi tutaj o Atrix.